To start this year off right, we’re looking back at the recipes you loved in 2018. 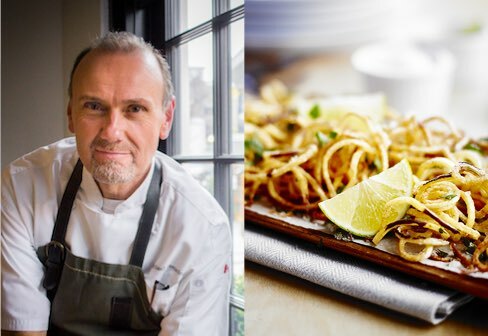 We found your favorite 18 recipes from 2018 from our Recipe Center to inspire you for a delicious 2019! 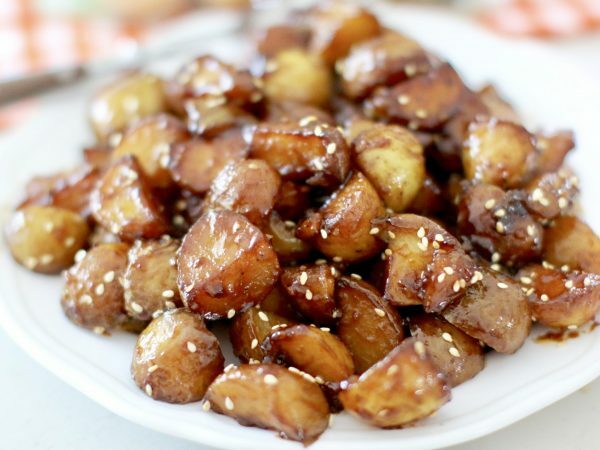 These sweet and sour Little potatoes are inspired by Korean cuisine! They’re a tangy and delicious side dish (or snack) that you can whip up in 20 minutes. 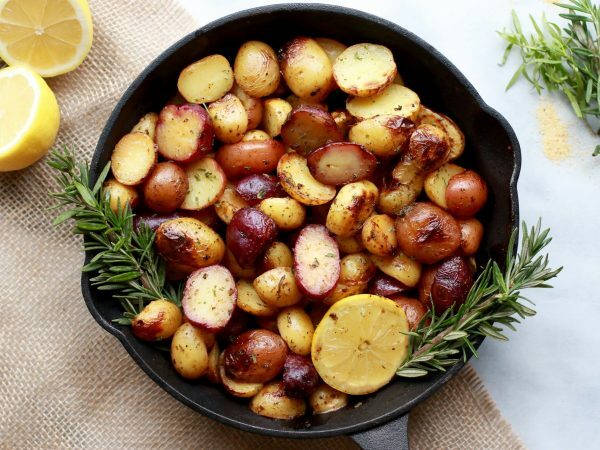 If you love Greek food and other Mediterranean-inspired dishes, try this side dish of roasted potatoes doused with a generous squeeze of lemon juice. 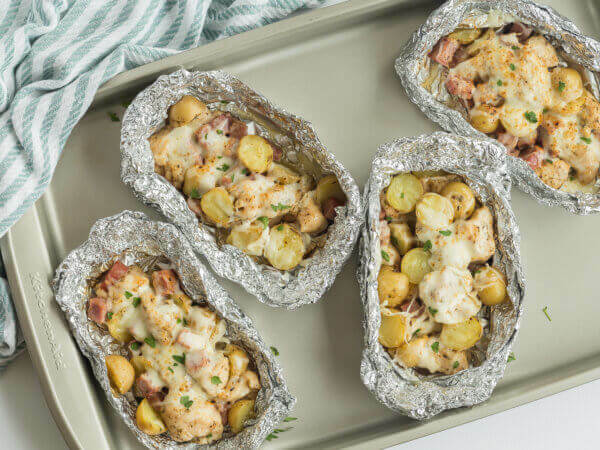 Foil pack dinners over the grill is one of our favorite ways to enjoy a family dinner on a warm summer’s night. 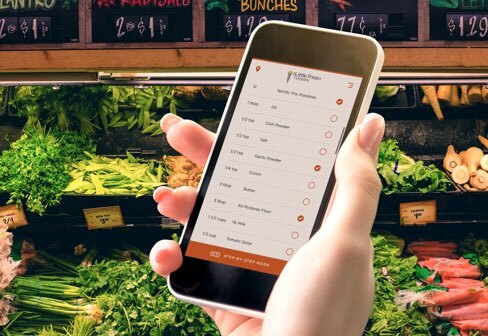 This one is great for backyard cookouts! Boil ‘em, smash ‘em, stick-em-in-an-oven. This side dish only needs four ingredients and is so easy to make! 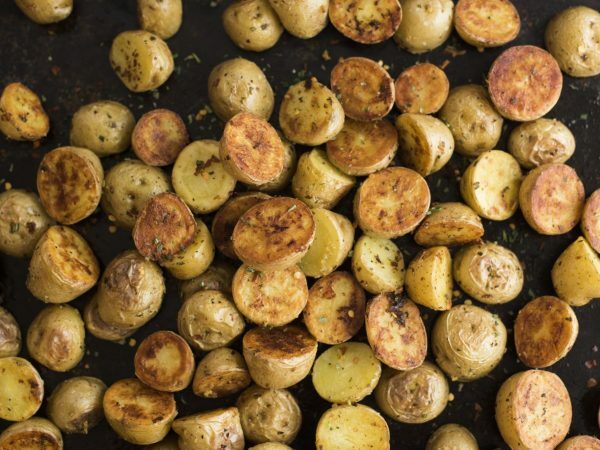 It’s so much easier to cook potatoes than you might think! 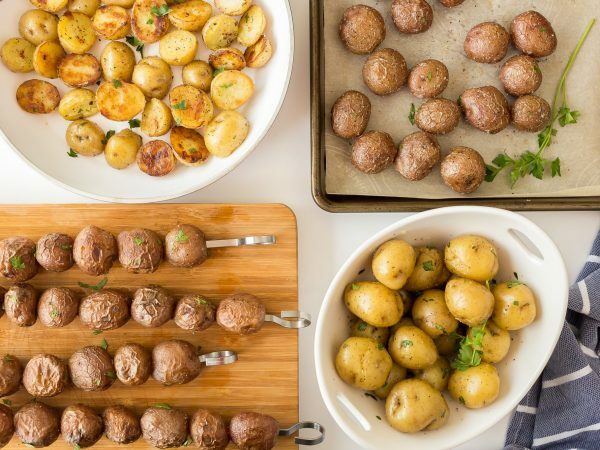 This recipe video shows four simple ways to cook Little potatoes—fried, roasted, grilled, or boiled. 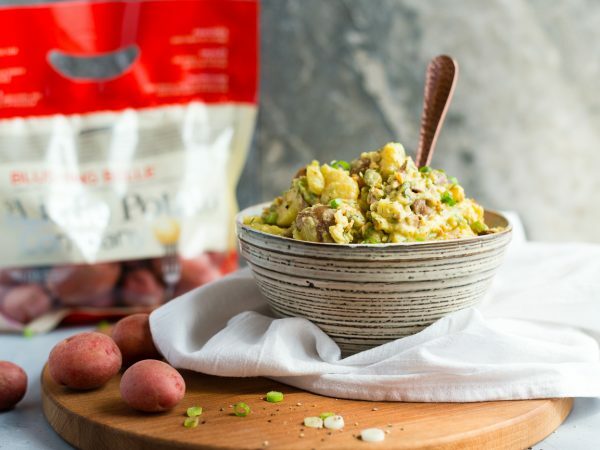 Want to enjoy a delicious potato salad without the eggs? 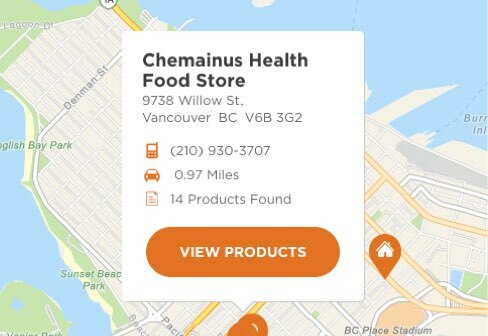 Our mayo-free version has a delicious dressing made from coconut milk, nutritional yeast, hot mustard, and an assortment of spices. 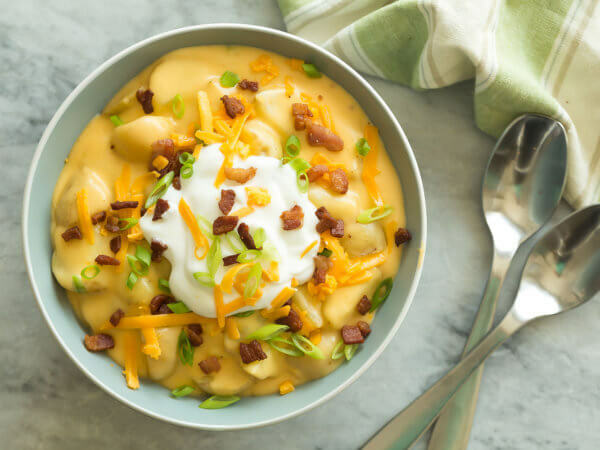 Everything you love about a baked potato in one delicious bowl. 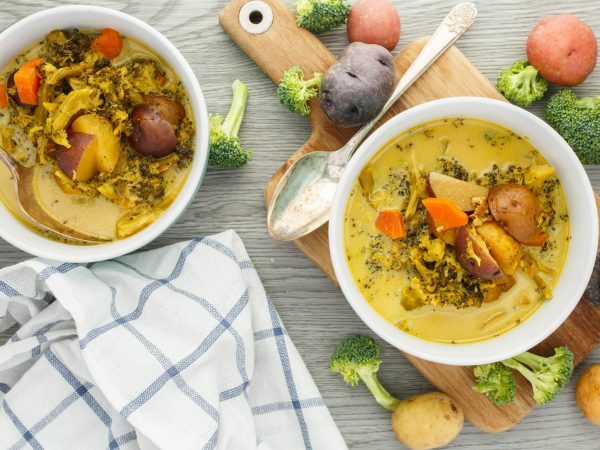 This soup recipe is also great for using up leftover cooked potatoes, just top with your favorite baked potato toppings! 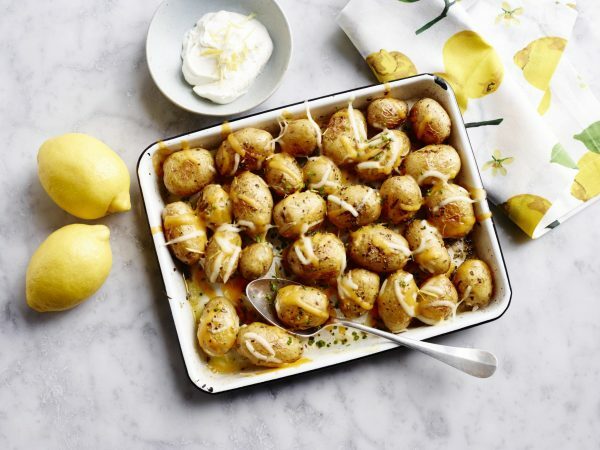 If game day is at your place, roast up Little potatoes with your favorite cheeses for a snack that the whole team will love. 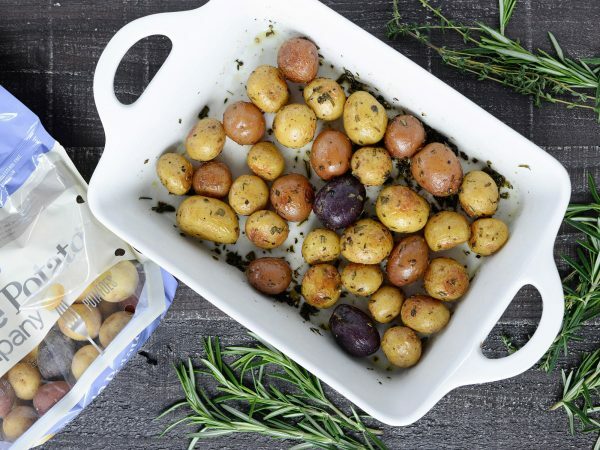 One of our easiest side dishes, just toss your potatoes with rosemary, garlic, and salt before roasting! A creamy, veggie-packed soup that will warm you up from the inside out. Customize the recipe to omit the heavy cream if you need a dairy-free option! 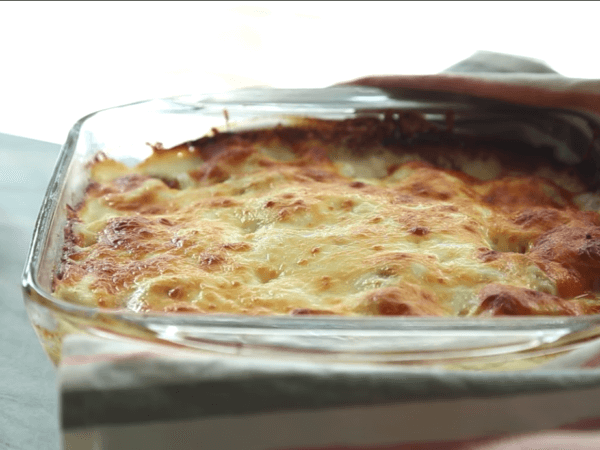 Exactly what it sounds like, this recipe also has a step-by-step video. A versatile side dish perfect for holiday and family dinners alike. 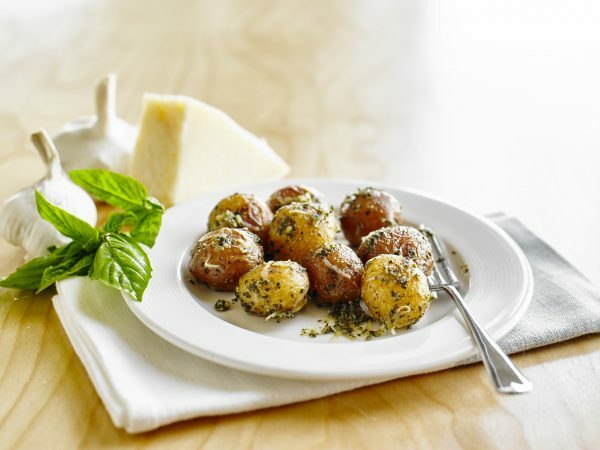 Parmesan and fresh pesto elevate Little potatoes while still keeping the recipe simple! Who doesn’t love a sheet pan dinner? 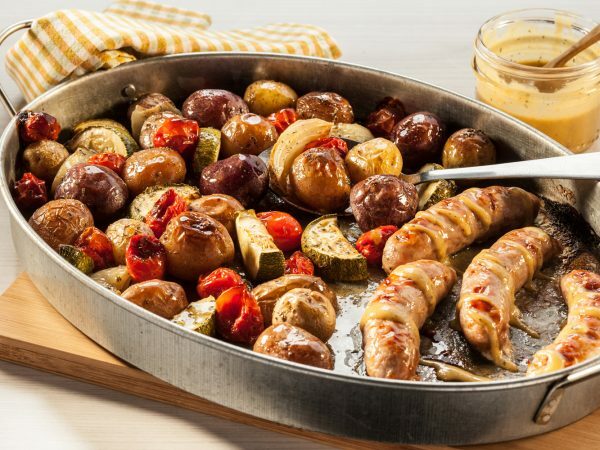 They’re easily customizable to help you use up whatever veggies you have on-hand, and the combination of sausages and Little potatoes is sublime. Got some leftover potatoes? 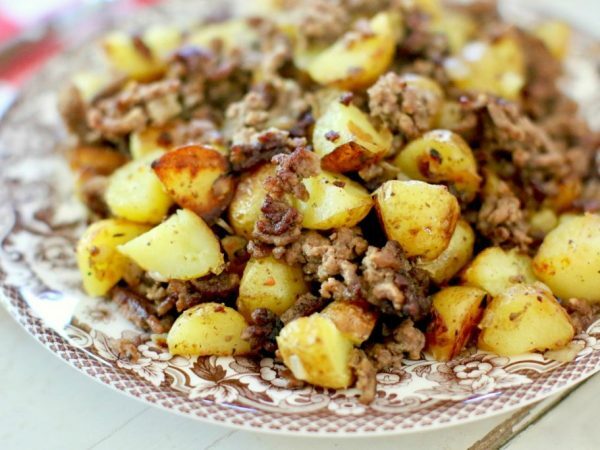 Cook up some ground beef and toss in some onions, your favorite seasonings, and enjoy! 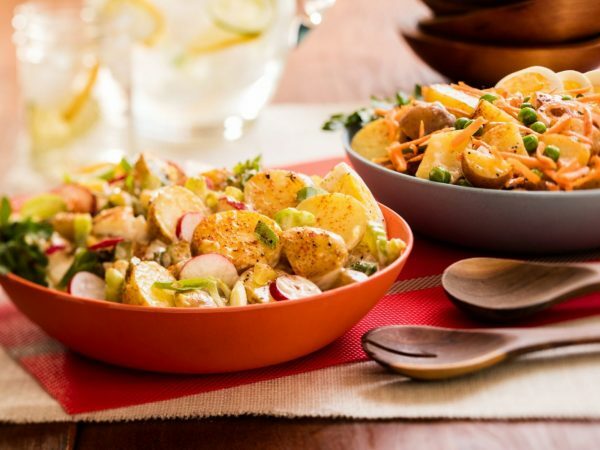 A twist on your standard mayonnaise salad, this recipe has two variations. There’s a crunchy and creamy version, and a peas and carrots version. Try them both! 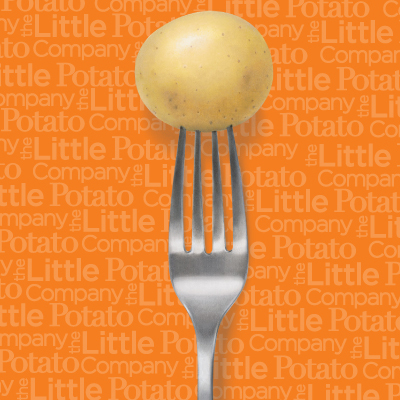 Terrific Trio Little Potatoes add some color to a simple side dish. All you need are a few herbs and you’re set! 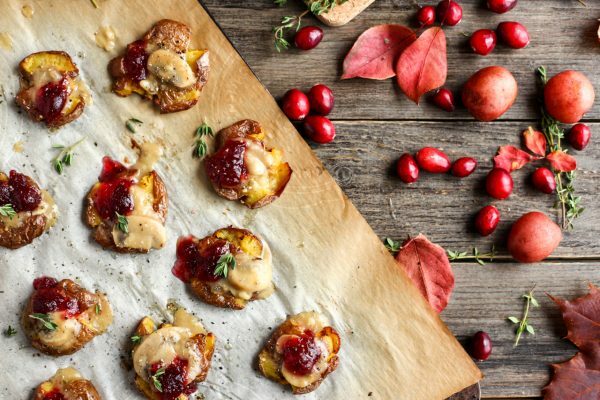 Crispy roasted smashed potatoes, topped with a mushroom gravy and cranberry sauce. We love this for a holiday appetizer! Your favorite recipe from 2018! 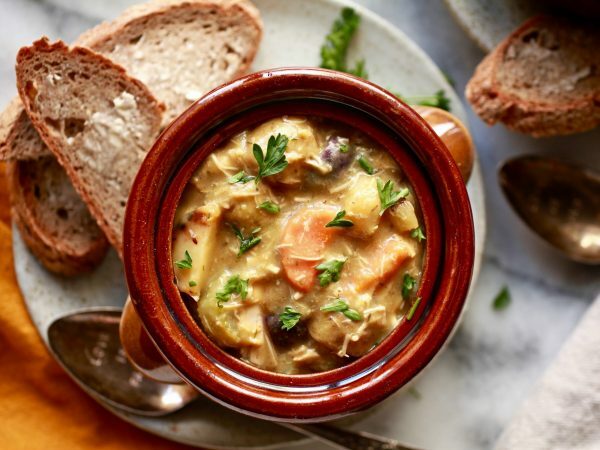 A cozy, easy dish that you can customize with seasonal vegetables.